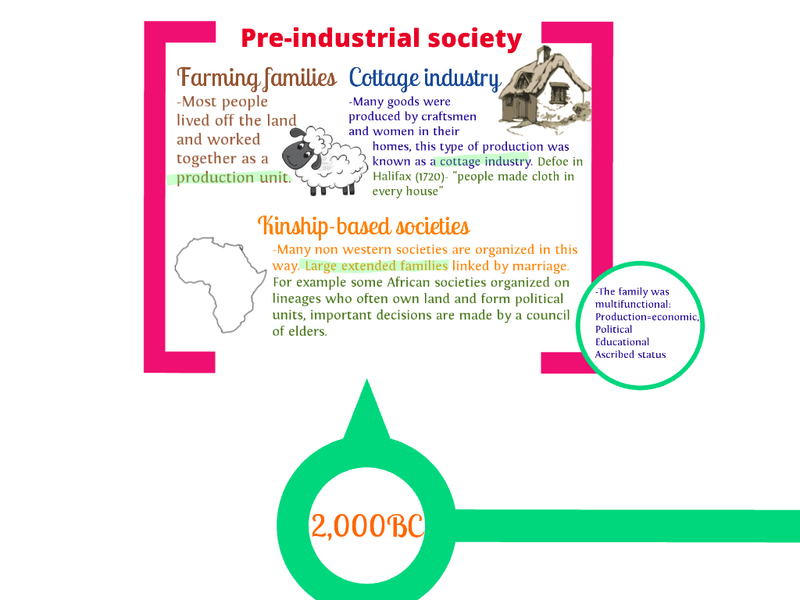 The sociology of power highlights the hidden and complex dynamics of family life by giving us the tools to see how power affects family life. 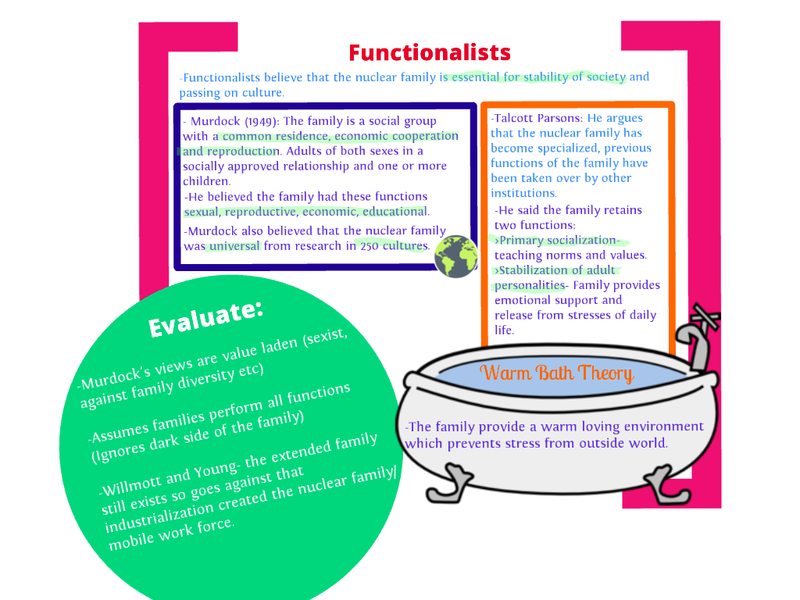 If Stephen Lukes is correct and feminist theorist agree with his view of power, Sociologists, for example, asks how power shapes Parsons privatised nuclear family or Young and Willmott symmetrical family? 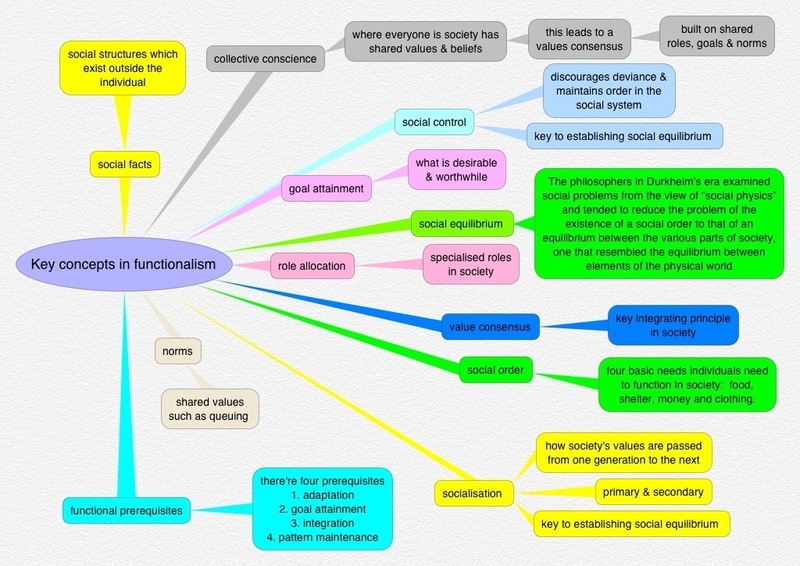 Do we live in a period of joint (integrated) or segregated conjugal roles? To answer these questions we first need to examine what power is and Stephen Lukes helps us do this. At this point is worth remembering segregated conjugal roles show a clear division and division between male and female roles. While joint (integrated) conjugal roles show few divisions between male and female partners’ roles. Is it actually possible to have joint conjugal roles if patriarchal power is all pervasive? With these questions in mind, to what extent is housework an anachronism or true representation of contemporary family life? Young and Willmott declared in 1973 that the symmetrical family was here! The symmetrical family identified married couples were having joint conjugal roles. This meant in the home the couple share their work and their time around the home. 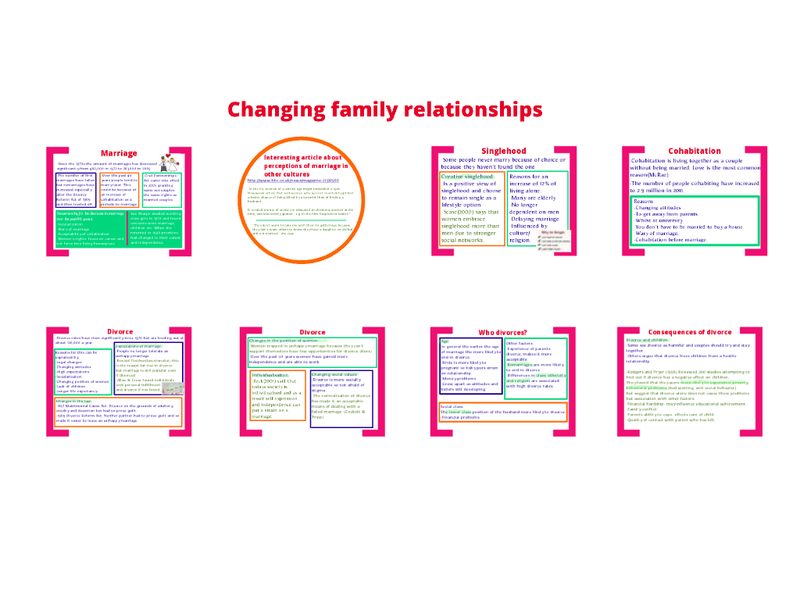 The question is does Lukes view of power challenge Young and Willmott’s model of the family? The feminist Anne Oakley thought so. 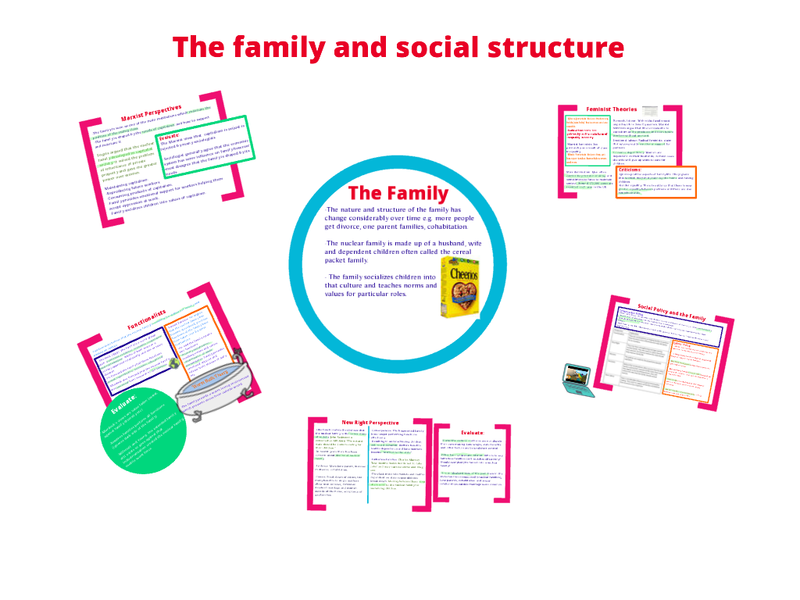 Her own research findings challenged Young and Willmott’s concept of the symmetrical family. This was because Young and Willmott’s evidence for their symmetrical family came from their research which found 72% of men helped around the house (1974). However Oakley’s challenge to Young and Willmott was their figure of 72% came from male respondents only having to answer one dedicated question on housework in their research questionnaire. This meant the figure of 72% was achieved even if the male respondents only did one housework task a week! 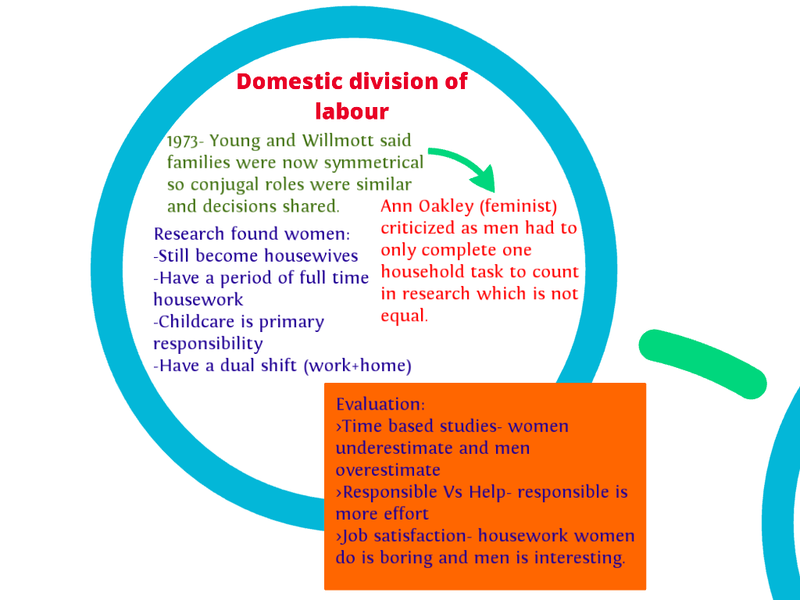 Oakley’s own research (1974) found both middle and working class families had greater equality in the designation of domestic duties, but in both classes few men actually did any housework which remains an issue for many commentators today especially as it varies across different countries. Indeed even though an increasing number of women work at some point in their lives with men ‘helping’ to do more domestic chores, Allan & Crow 2001 found men’s contribution around the house is limited with women having to work full-time and then do the housework! Supporting evidence comes from the Office of National Statistics time-spent-on-main-activities-by-full. In addition more recent figures from the National Office for Statistics reveal that at the end of 2012 there were just over 6,000 more full-time, stay-at-home dads (househusbands) looking after babies and toddlers than there were 10 years ago. Yet in the same period, around 44,000 women have stopped being stay-at-home mothers as the ONS summary video explains (@1:28 mins). What is the relationship between power in the family and housework? 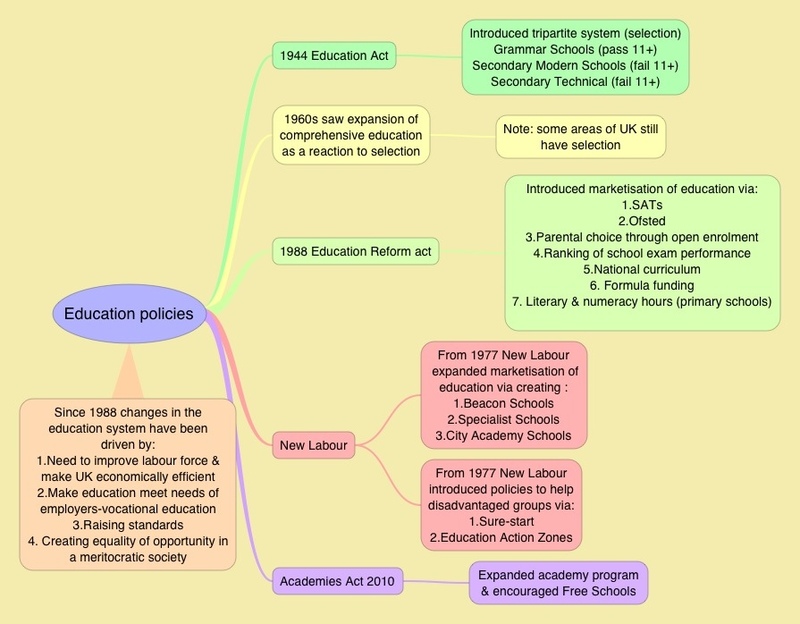 The following questions will aid your understanding on the complexity of this issue. Why is housework and childcare still seen as a gender based issue? 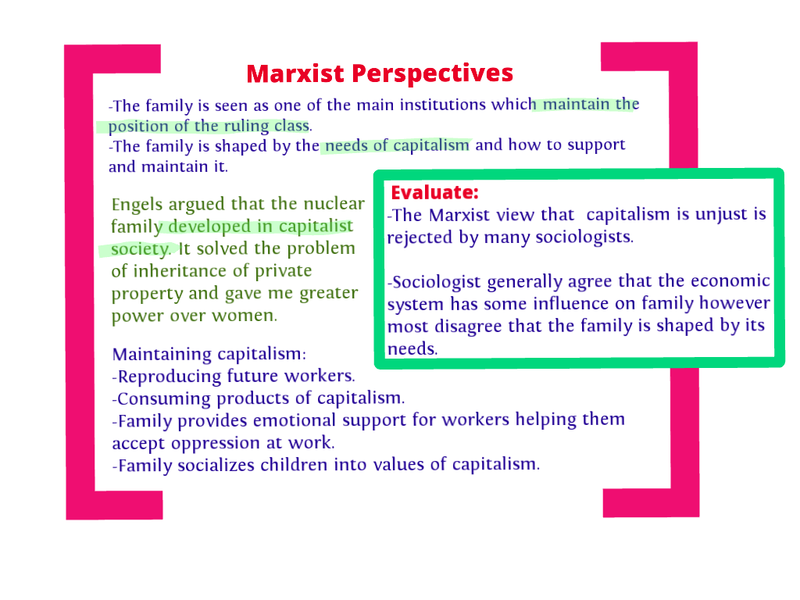 The issue for sociologists is explaining why these differences occur. Does Lukes or Foucault view of power best explain why and how these role differences remain? The answer is complex, especially when people consciously record what spend their time doing each day. The UK 2000 Time Use Survey got respondents to keep a detailed diary of how they spent their time on one day during the week and on one day at the weekend. The survey found that there were substantial differences between men and women and different age groups in the amount of time spent on various activities which can lead to the triple-shift particularly as women are socialised into accepting it as natural and inevitable. conversely men spent less time than women doing household tasks (cooking and washing up, housework, and washing and ironing) – an average of 2 hours a day compared with 3 hours and 35 minutes for women. the differences between men and women were smaller for those in full-time work, with men spending nearly an hour a day more than women in paid work (including study), and women spending nearly an hour a day more than men on household tasks. men working full time had an average 23 minutes a day more ‘leisure time’ than women in full-time work. How would New Right and feminist academics view the above findings/conclusions? Excellent presentation . This one presentation solved the query i had for the whole year . May God Bless you !